I feel like I’m a cat with nine lives when I’m dealing with Roku (NASDAQ:ROKU). Ever since its initial public offering (IPO) — which are always risky, especially in the technology space — I’ve been on both sides of the fence with Roku stock. Back in early October of 2017, I recommended the streaming TV player despite the IPO risk. A few months prior, we witnessed another high-profile IPO in Blue Apron (NYSE:APRN). Although a different industry, Blue Apron, like Roku, leveraged technology to bring an old-school sector to the twenty-first century. As you can see through its chart, APRN failed miserably. Naturally, investors worried the same fate could also eviscerate Roku’s stock price. 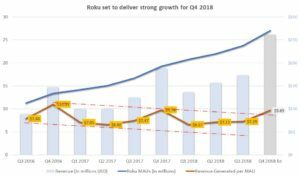 After an initial period of volatility, ROKU gained substantial momentum off its potential. 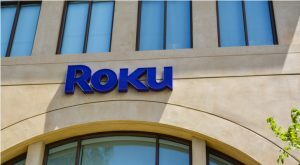 While the company had several blue-chip competitors — namely, Apple (NASDAQ:AAPL), Amazon.com (NASDAQ:AMZN) and Alphabet (NASDAQ:GOOG, NASDAQ:GOOGL) — Roku enjoyed user-count dominance. That’s a massive accomplishment considering that everyone, including traditional media firms, seeks to profit from the cord-cutting phenomenon. But in August last year, I felt that Roku’s stock price moved ahead of itself. As evidence to support my shifting attitude, I cited somewhat disappointing user growth. With a relatively cheap sticker price for Roku players, user growth should have been more robust. I also didn’t care for insiders selling their equity ownership. In hindsight, I pulled the “sell” trigger a bit prematurely. Nevertheless, shares tumbled. A few months later, in October, I had the opportunity to recommend a discounted buying opportunity. I passed. While the bulls celebrated user growth on a nominal basis, users grew out of whack with the Roku stock price. But in December, I finally declared that ROKU was simply “too cheap to ignore,” and I was right. Now, how do I call it? I’m particularly anxious about the streaming company’s fourth quarter fiscal 2018 earnings report for two reasons. First, earnings season always produces a few surprises, for better or for worse. Second, I’d like to keep my reputation as the “Roku whisperer” alive. That said, all indications suggest that Roku stock will deliver the goods. For earnings per share, consensus estimates called for a penny a share, although recent consensus aims for 2 cents. That’s close to the higher end of the estimate spectrum, which is between -2 cents and 4 cents per share. On the revenue side, analysts anticipate $262.17 million, which would represent 39.26% year-over-year growth. In the prior-year Q4, the company rang up $188.26 million. The Street generally has high hopes, with sales estimates ranging from $257.5 million to $270 million. Aside from the record-breaking quarterly haul, most investors will likely focus on monthly active users (MAUs). Here again, we should see plenty of green. According to Roku’s preliminary Q4 data, active accounts topped 27 million, up roughly 40% YoY. Click to EnlargeIf the TV streaming player hits its revenue target, we’re looking at each MAU generating $9.69. Significantly, this would represent the highest such tally since Q4 2016, when each MAU generated $10.99. But back then, nominal MAUs totaled 13.4 million, while the revenue haul measured $147.3 million. Furthermore, the recent boost in revenue per MAU simultaneously addresses my concerns about user growth and engagement. Prior to Q4, both MAU growth and the growth in the revenues they generated slipped to single digits. But with the newfound spike in sales and streaming activity, both metrics are now firmly in double-digit territory. As a result, I wouldn’t be surprised to see the Roku stock price jump off a resounding Q4 beat. Thanks to all the positives that the company has to offer, I don’t blame folks for wanting to nimble. Previously, I worried that the streaming player either lost its charm or otherwise peaked. From the available information, shares are back on track. However, let me provide this word of caution: don’t chase ROKU at this juncture. While shares will likely spike off Q4, I’m not sure if it can sustainably pivot off its potential earnings beat. On a year-to-date basis, the streaming firm has already gained over 65%. I’m not sure that management has anything new to bring to the table. Yes, they’re partnering with traditional media outlets to stream premium cable TV content. That could entice on-the-fence consumers to take the plunge, but I don’t see that alone as a gamechanger. Executives could also show better-than-expected bullish figures, but we’ve already seen the bulk of this enthusiasm priced in. Ultimately, I’m cautious again due to timing concerns. Compared to other sectors, streaming-related companies run heavily on emotions. Again, I believe the good news is priced in. Unless management reports profoundly groundbreaking figures, I’d keep the powder-keg dry for the next discounted opportunity. 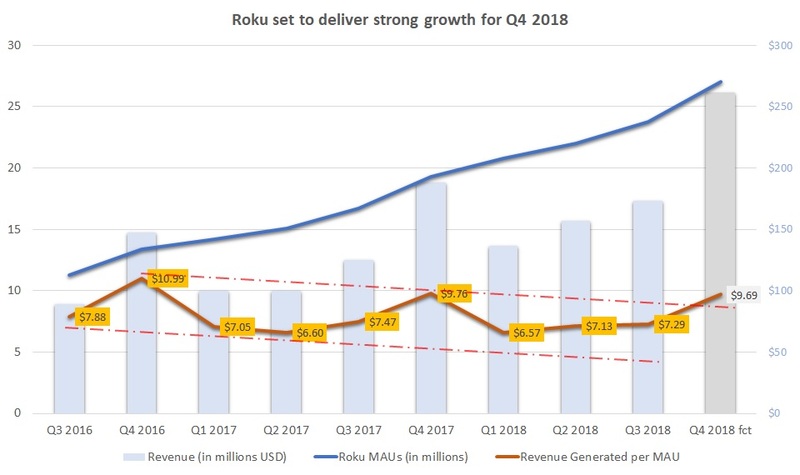 Article printed from InvestorPlace Media, https://investorplace.com/2019/02/roku-stock-earnings-dont-chase-it/.